This will be an extra long weekend workshop format. We will begin on Thursday in the afternoon to get started right away working on projects, and then have dinner together with an image presentation and discussion. The workshop will end on Monday afternoon, but the studio will be open for a few days following the workshop if you want to stay and finish up your sculpture without instruction. Each participant will have their own rolling table and shelf, and many basic tools will be provided. Classes will be limited to 6 students, and material will be tailored specifically for their particular goals and interests. 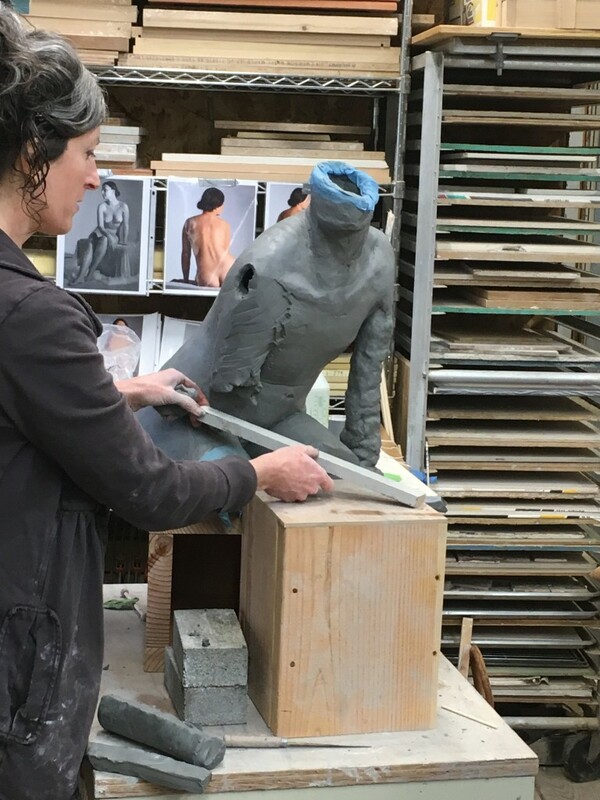 If you don’t have a sculptural idea you wish to pursue in the workshop, I would loosely recommend a focus on torso/arms/head rather than the full figure for the 5 day format. The small class size is really sweet, leaving so much room for us to get to know each other and for me to work directly with each participant throughout the workshop.